As part of its ongoing globalization efforts, Hosei University has newly launched in September two English-based degree programs to attract more students from overseas. These are the Global Business Program (GBP) in the Faculty of Business Administration and the Sustainability Co-creation Programme (SCOPE) in the Faculty of Sustainability Studies. The GBP aims to develop human resources capable of managing globalized businesses in the 21st century. The course is conducted in English, and offers the opportunity to study the real-life practices of Japanese corporations engaged in global business management. Kiho Takada is one of the first students who enrolled in the program this September. With a Malaysian mother and Japanese father, Takada was born and raised in Malaysia and this is the first time for her to spend a long time in her father’s country. 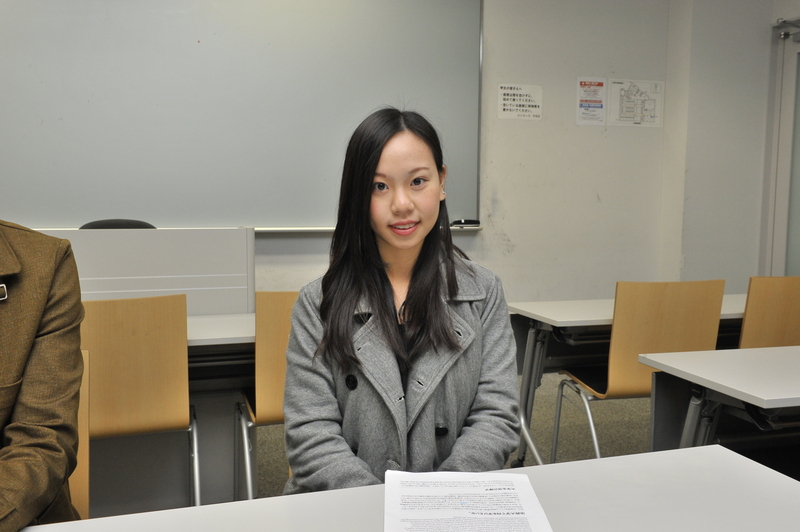 After attending Japanese elementary and junior high schools in Malaysia, Takada went on to an international school, which trained her in English and worked on an assignment-based curriculum. “My mother has worked for years for the Malaysian branch of an American company. She has been always my role model. Also, the fact that my Malaysian relatives operate businesses in different fields inspired me to further study business,” Takada said. 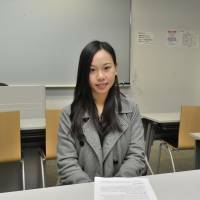 In her first year, she is attending introductory lectures on basic subjects such as accounting and finance with nine fellow students. “It’s exciting to exchange views with people from different backgrounds and cultures, including Taiwan, China, the Philippines, India and the U.S.,” Takada said. She aims to learn business skills and management systems from an entrepreneurial point of view “as I want to build up my own business in the future,” she said. To this end, she also wants to study in different countries and work for a multinational corporation that can offer her international exposure. Amilcar Ortiz, one of the first eight students enrolled in the SCOPE program, studied engineering for one year at a university in Guatemala. “But I realized that it was not what I really wanted to do,” Ortiz said. 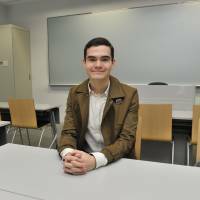 He then began searching scholarships for Japan on the internet, which led him to search for English bachelor degrees in Japan. That’s how he discovered the SCOPE program. Most Guatemalan students study abroad after completing their bachelor’s degrees in Guatemala. However, study in Japan is difficult as it is a distant country that is a 24-hour flight from Guatemala. SCOPE’s objective is to develop “glocal” (global + local) human resources, who can command both global and local points of view, through which they can lead to the creation of a sustainable society. “There is a definite image that Japan has, and it’s very interesting to know what’s behind that,” Ortiz said. He is particularly attracted to Japanese rural society. 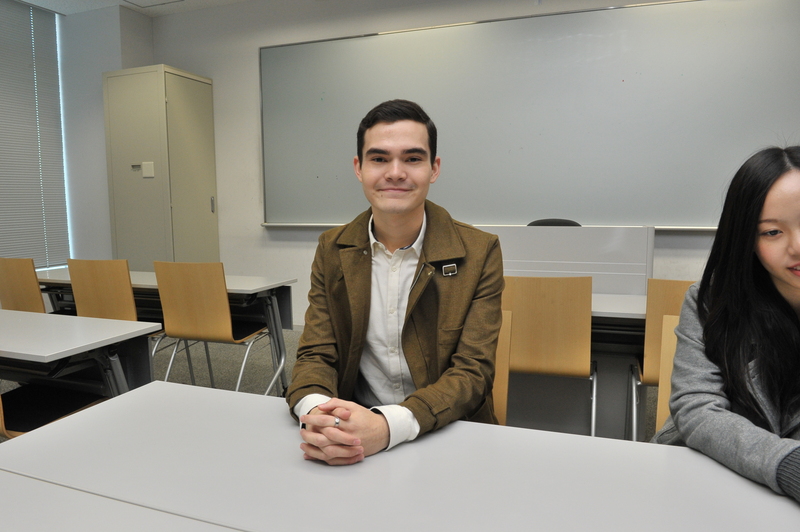 While the SCOPE course is conducted all in English, Ortiz tries to speak Japanese at the dormitory to interact with Japanese students from different universities. Ortiz is thinking about pursuing a master’s degree, perhaps in a different country. “I want to work for a company that has a relationship between Latin America and Asia such as the coffee industry, for example,” he said, regarding his future.